Condor Tactical MOLLE Shoulder Pack | ReplicaAirguns.ca | New Website! Comments: Need a reliable and lightweight carryall? 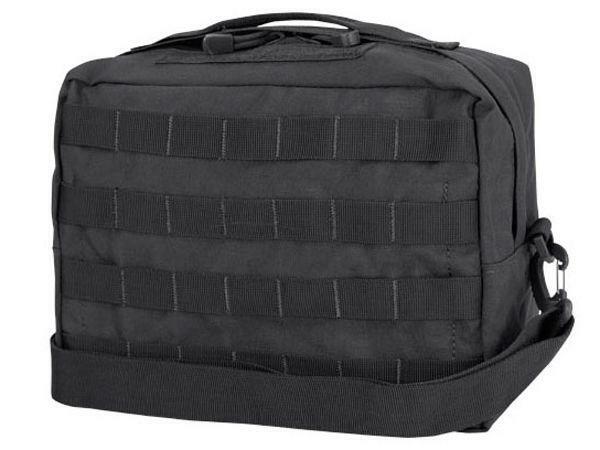 The Condor Tactical MOLLE Shoulder Pack is designed to safely and securely hold your everyday carry gear. It includes internal pockets for organization and exterior MOLLE webbing for attachment customization. Carry using the shoulder strap or top carry handle. Available in coyote brown, olive drab, black or tan.